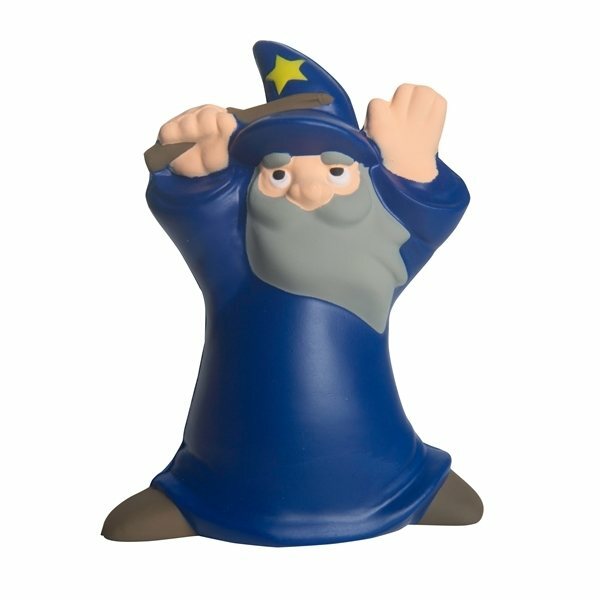 The wizard shaped stress reliever can magically help reduce stress and with your company’s logo, sales will soar! It’s perfect for everything from novelty shops to sports teams. Cast a spell on the competition at the next promotional event and watch these little guys take flight with your new customers and clients! Top quality and appears great. the products always arrive looking just like the proof, and most time they exceed our expectations. I'll be ordering again soon. I appreciate it so much! Not everyone would jump through the hoops Rose has! One of our favorite giveaway items, this product is inexpensive and fun for everyone. We've got a great demand for these in our shop. Order came rapidly and was precisely what I purchased. Very helpful and inventive. The workers like it!